Aloe vera is a succulent and can easily be overwatered which can cause it to turn brown. This guide is about leaves on aloe plant turning brown. I've had my aloe vera for over a year now and it's been doing really well, but recently I had to do some remodeling to the window it's in and left it on my desk, where my cat promptly bit two of the leaves breaking them open, but not off. This was a few weeks back and now the leaves have become brown in color and shriveled at the tips where the bites were. Aside from the two damaged leaves the rest off the plant is a healthy green, but the brown on the damaged leaves seems to be spreading closer to the base and I'm concerned the whole plant will start to turn. Should I cut the damaged leaves off? and how would I do that? or leave them on? they don't seem to be getting any better. What should I do? Your plant will actually grow better if you remove some of the blades occasionally. You can either cut the leaf/blade off anywhere close to the bottom or even remove it from the base - it will pull off easily after cutting (unless it is in the center of the plant). 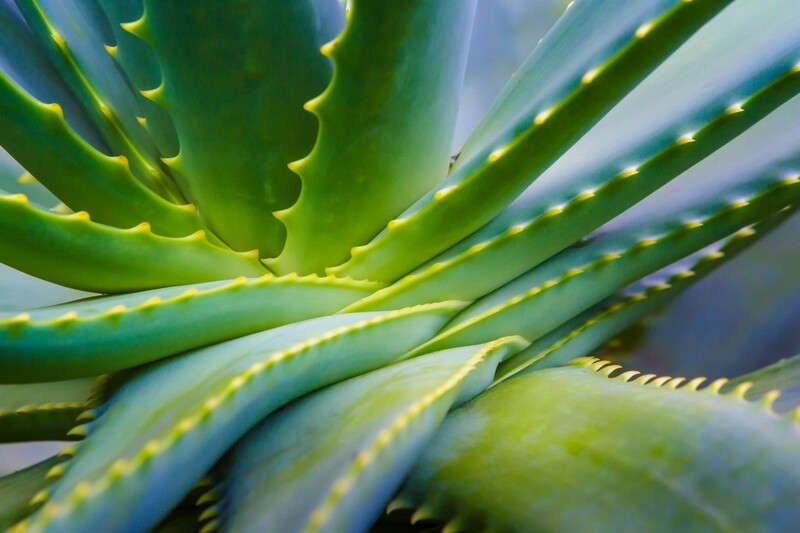 Here is a site that will give you information on how to care for your plant and maybe you might want to check out some of the sites that explain all the good uses for Aloe Vera. I have an aloe plant that is 4 foot tall. I have had it for 12 years. The tips of the leaves are turning brown and drying up. What can I do? I have a fairly large pot of aloe, and all I do is take a 12oz. coke bottle, poke a pinhole in it and lay it down in the pot. I refill around once a month.